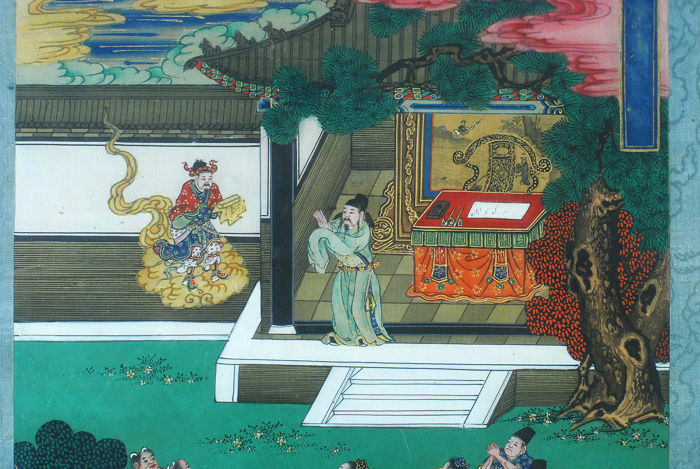 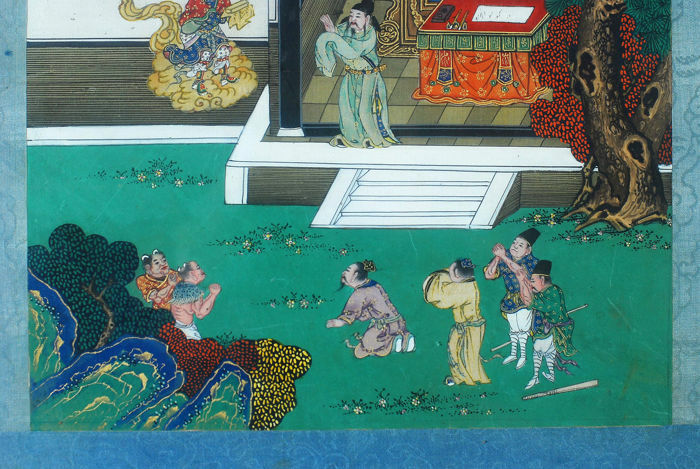 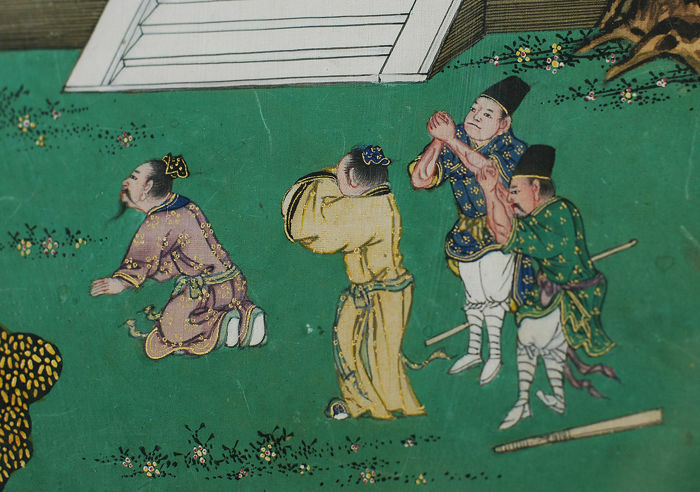 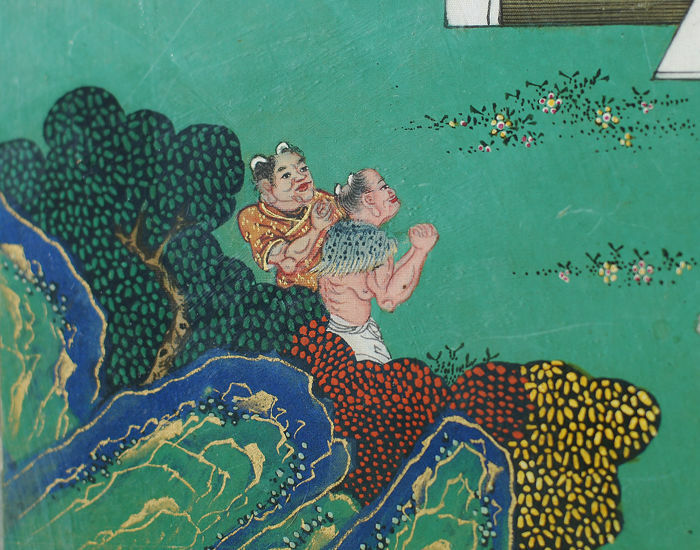 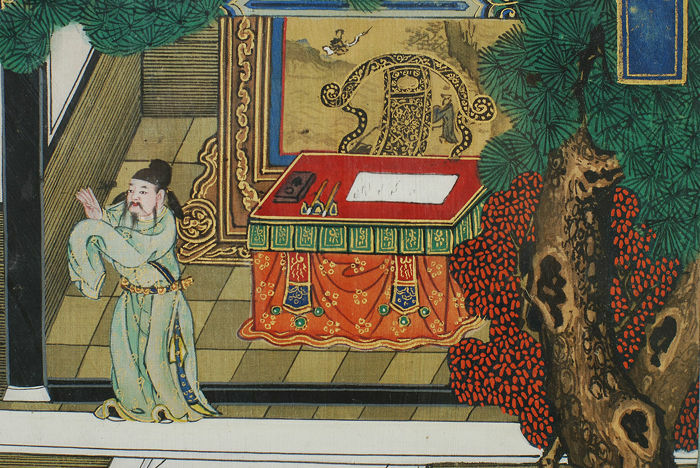 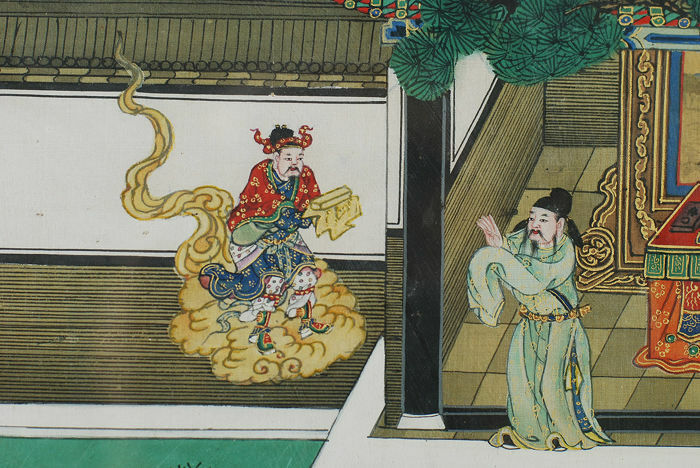 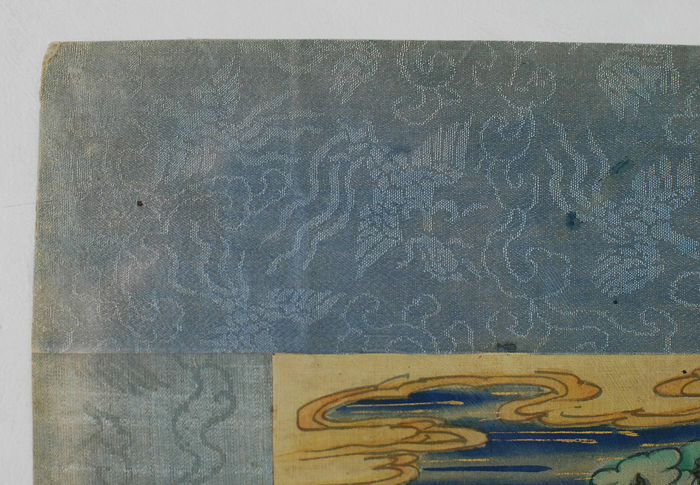 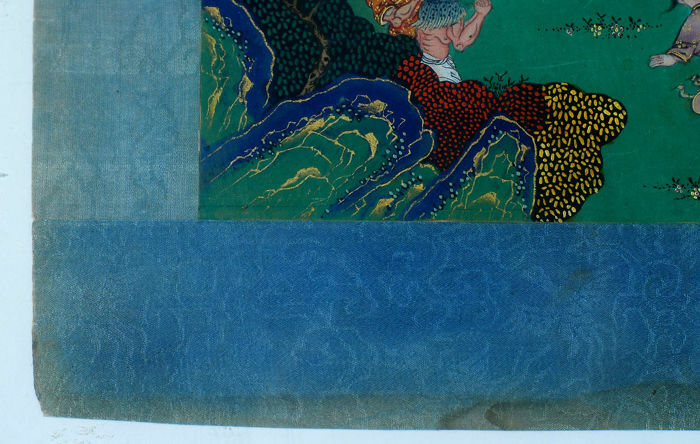 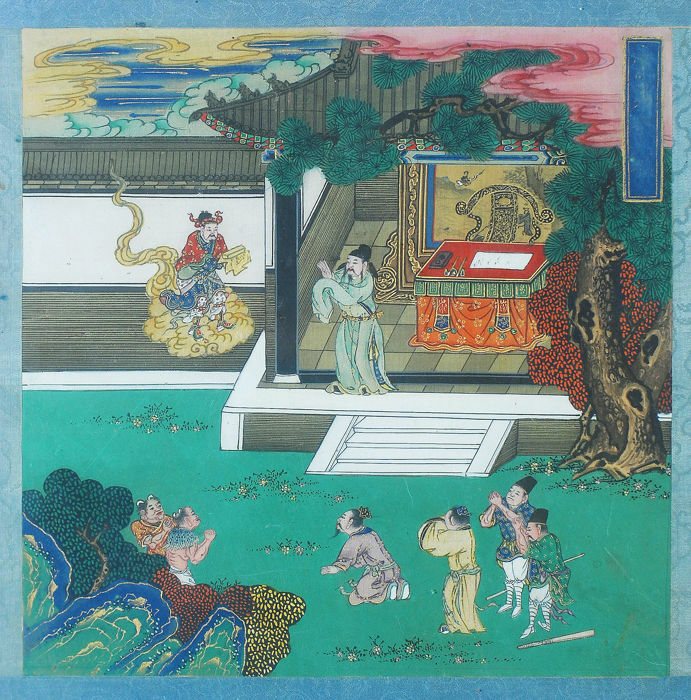 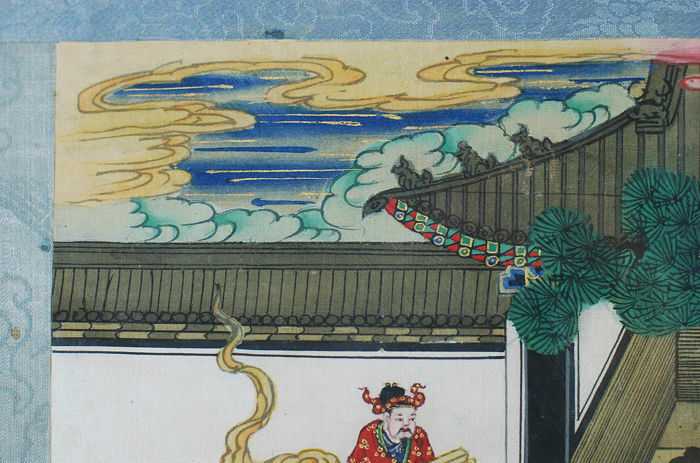 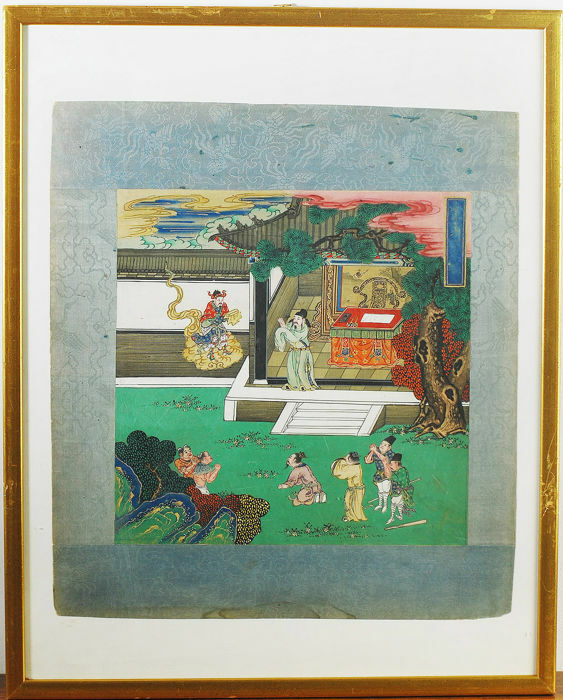 Painting on silk with a mythological subject - China - 19th century. 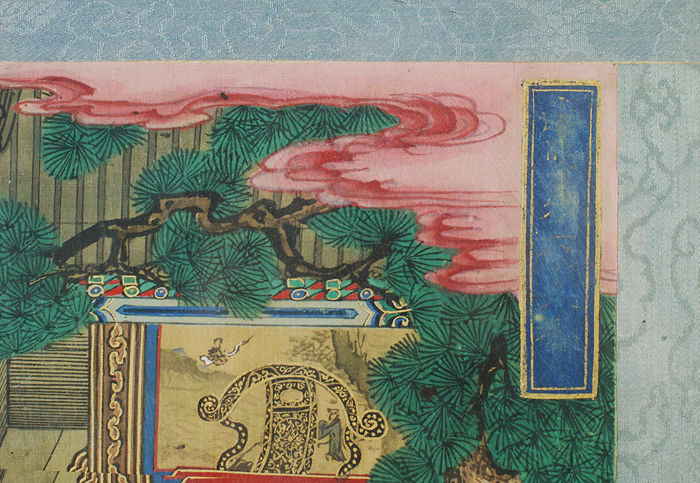 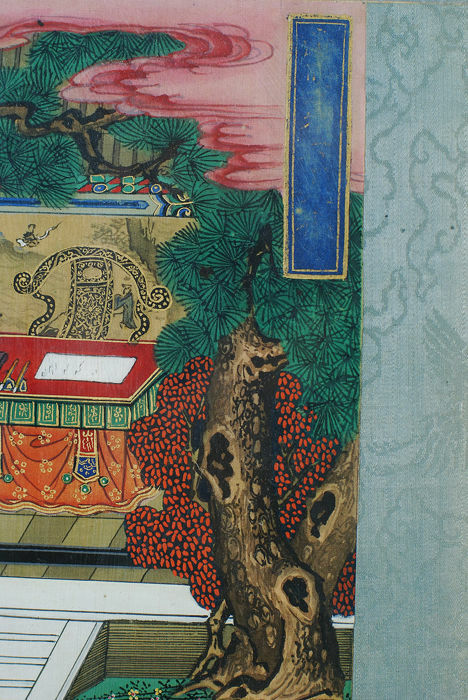 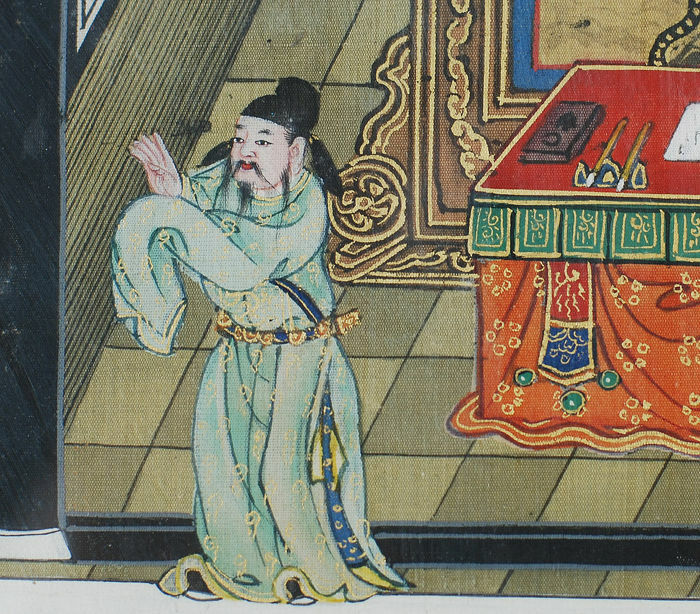 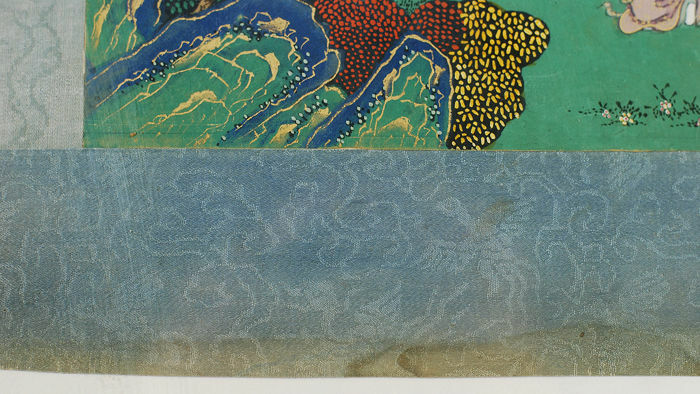 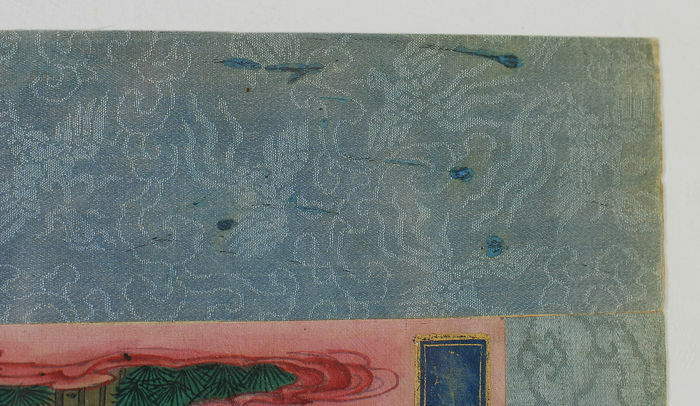 A very beautiful hand painting scene from an album, fine detail with plenty of color pigments remaining. 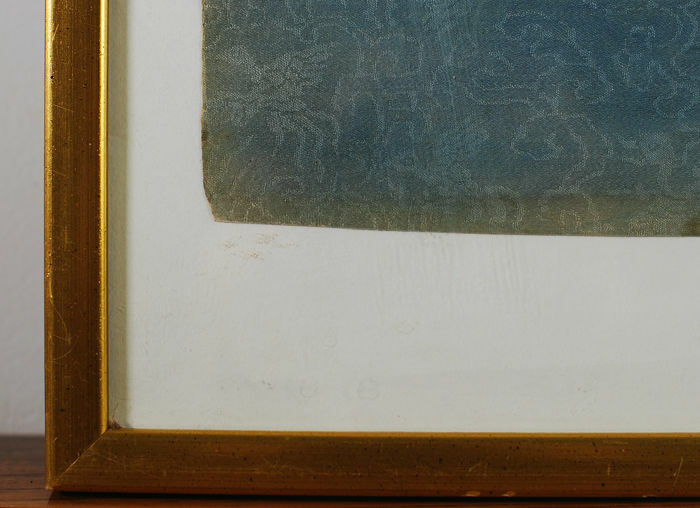 Condition: good condition, toning and scratches on the frame. 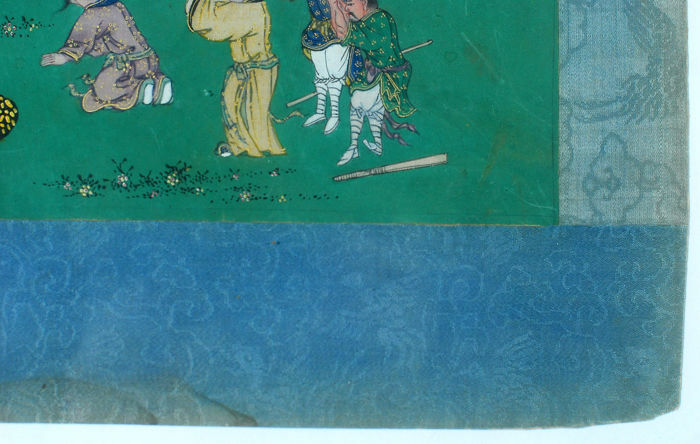 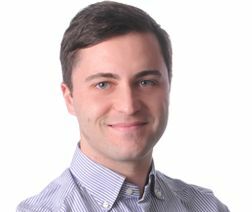 Please check all the photos .